Unwanted computers, computer accessories and televisions can be dropped off for recycling at the Lismore Recycling & Recovery Centre free of charge. 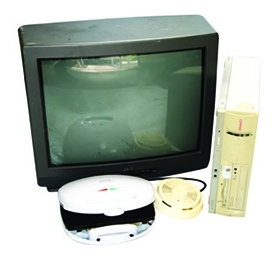 Under a program called TechCollect, electronic waste is recycled into many components which can have another useful life instead of going to landfill. Please note: Collection is for the general public and small businesses only; not commercial quantities. Heavily damaged or dismantled equipment may be classified as waste and a fee may apply. And please remember, it is your responsibility to delete any data from your devices. For more information or enquiries, visit www.techcollect.com.au.